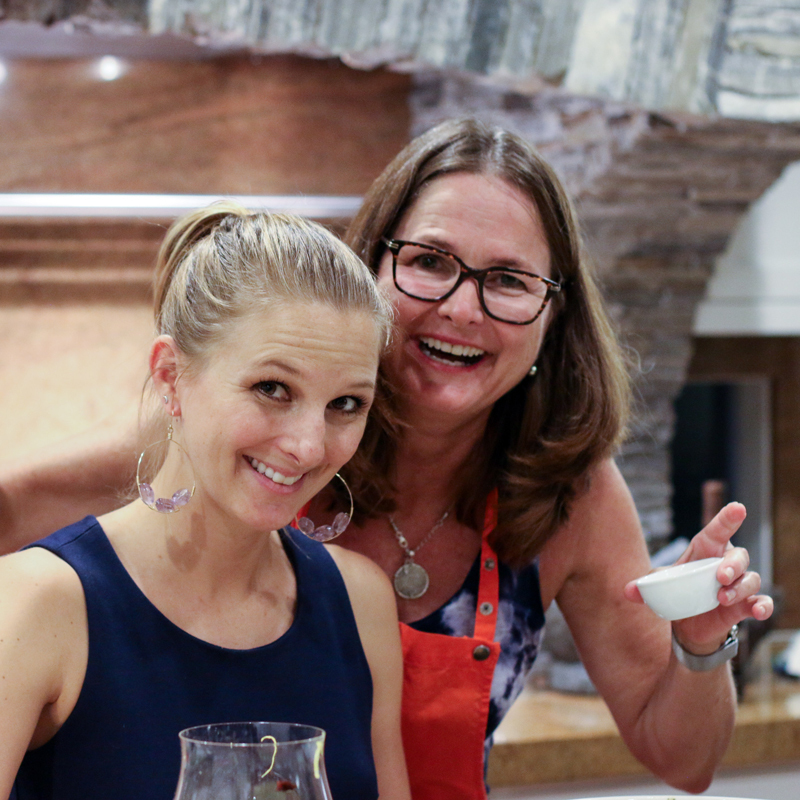 This is one of three recipes I am showcasing to honor the work our friends are doing at Cradle to Career Kenya (C2C). C2C has fed, housed and educated nearly 900 Kenyan orphans. Something New For Dinner and James Publishing's Kids are teaming up to support two C2C students for one year when C2C collects 1200 Likes on their Facebook page. Help us support these children. All it takes is one click. Kale is a main staple of the Kenyan diet. In this recipe, I add apples, butternut squash and cashews that are now being farmed in Kenya, sometimes with micro-financing. Sumac spice is used for its beautiful color and lemony flavor. 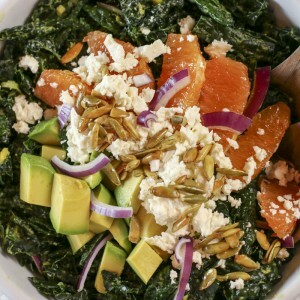 See my blog post on kale and butternut squash before beginning this recipe. You can buy sumac online. Bacon can be omitted for a vegetarian option. Consider doubling the quantities of the sugar spiced cashews. They are pretty tasty and you might find they have all but disappeared when it is time to put them into the kale. Heat oven to 400 degrees. Put cashews in a medium hot frying pan. Sprinkle sugar over cashews and stir until sugar is dissolved and nuts are caramelized. Remove from heat and immediately sprinkle with salt and pepper and 1/2 t sumac. Stir to coat. Spread caramelized nuts on a sheet of foil to cool. Set aside. Toss the butternut squash in 2 T olive oil. Spread on baking sheets. Season with salt, pepper and 1 t sumac. Roast for 15 minutes, remove from the oven and flip. Return to oven for another 10 to 15 minutes. Fry bacon strips until crispy. Remove and put on a sheet of paper towel to drain. Cut the spines from the kale using kitchen sheers or a knife. Cut kale into 2 - 3" bite size pieces. 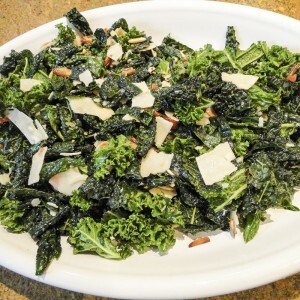 Put the kale in a large bowl and sprinkle with 2 pinches of salt and 2 T olive oil. Using your hands massage the kale until it changes in texture and color to a supple dark green. This will take 2-5 minutes depending on kale type and maturity. Add juice from 1/2 lemon and massage another minute. Add butternut squash, apple chunks, red onion, crumbled bacon, cheese and caramelized cashews. Toss with a splash of vinegar. Add additional lemon juice to taste.